Recent commentaries on the videos produced by ISIS, the extremist caliphate group, have drawn attention to the familiar aesthetics and high level production values of these propaganda videos. As several of these commentaries have alluded to, the slick, video game-like production elements of the videos alone seem capable of eliciting shock and outrage. Some have noted that the mediated aesthetics of the “official” war on terror have converged with the spectacle of terror itself in these videos and that this conflation of mediated forms is capable of a disruption of meaning in a manner that the conceptual material informing these aesthetics might not achieve on its own. I open the introduction to this project with the above example -- one that may seem misplaced in a digital project and experimental study of the seventeenth-century writer and polymath, Margaret Cavendish, Duchess of NewCastle -- to emphasize the political and aesthetic powers of mediated forms. Such powers flourish in conjunction with but also independently of the conceptual elements, narratives or arguments that complete their influences and impacts. The contemporary example of the mediated aesthetics of terror exemplifies the deep power of form, particularly at a moment of high value media exchange. By high value media exchange, I mean historical moments or event spaces where shifting or rapidly developing modes of mediation play a fundamental role in political or aesthetic meaning making. Though it certainly could be argued that mediation and mediated form are always inherently significant to the evolution and distribution of, as Cavendish might phrase it, “figural” or expressive information, there exist identifiable moments where the power of the form of an idea seems almost to transcend its conceptual energies. 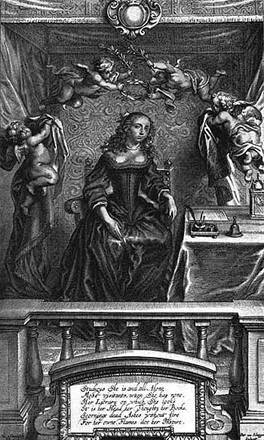 This project argues that the work of Margaret Cavendish was profoundly interested in the question of form. Her interest in forms of mediated meaning was central not just to her experimentations with literary and philosophical genres, but to her broader and more radical political and aesthetic perspectives, further informed by her own rendering of a vitalist materiality. Cavendish is well known for her inventive play with mixed, or hybrid, genres: experimentations that include mixing philosophical speculation with romance fiction and the merging of dramatic narrative with epicurean poetry, among others. Ironically, it is these very genre crossings that have obstructed a more comprehensive understanding of the effects of such play. Editors and publishers since the eighteenth century have actively avoided publishing Cavendish’s mixed genre pieces in the form in which they initially appeared, instead dividing the components of each work based on contemporary boundaries between science, literature and philosophy. Indeed, the text at the core of this project, Observations Upon Experimental Philosophy. To which is added The Description of a New Blazing World (1666), still has not been reproduced in its original form by any modern publisher. One can find excerpts of the Observations interwoven with Cavendish's literary works in anthologies and readers, but there exists no contemporary edition of the initial publication of the hybrid text. A second practical objective of this project, then, is to redress this long-standing omission by reanimating the two works together, and in so doing to reimagine digitally Cavendish’s objective of a truly “hermaphrodite" text. As will be discussed in more detail below, the digital platform for this project, Scalar, was chosen because in part it embodies in digital form the aesthetic and philosophical elements of Cavendish’s experiments with mediated forms. Even in the midst of what has become a minor revolution in literary and scholarly publishing -- the digital humanities or “digital turn” -- the emphases on content and concept persist. As such, digital environments and platforms are treated as invisible vehicles for a more “interactive” or “accessible” conceptual re-articulation of ideas, texts, or historical context. In conversation with this trend, Bethany Nowviskie has urged us to find “resistance in the materials” of digital production rather than embracing these objects as ecumenical likenesses of Freud’s “magic slate,” oblique surfaces that project back to us the surface gestures of “access” and “distributed democracy,” while the implications of the specific workings of digits and protocols stay at the depths of the collective (machinic) unconscious. The particulars of mediated forms, at our moment and Cavendish’s, make arguments, imbricate ideology, and convey their own affects and meanings. Like the material traces of Walter Benjamin’s Arcades, within our digital labyrinths are codes, semantic ontologies, and protocols that construct distinctive materialities that reflect and inflect our politico-aesthetics as writers, researchers and teachers.